Indie Retro News: Yoomp! 64 RGCD announces a Three-Dimensional jumping game for the Commodore 64! Yoomp! 64 RGCD announces a Three-Dimensional jumping game for the Commodore 64! 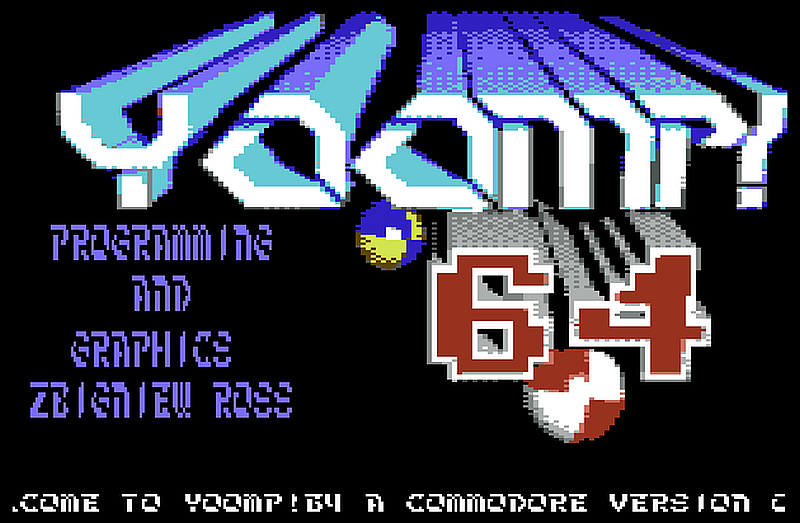 RGCD have spread the news far and wide as they have told the retro community, that the C64 version of 'Yoomp! 64' is not only available to buy as a digital download, but also via a cartridge and disk. Yoomp was originally a fantastic Atari XE/XL game and this C64 version is a port of that game as a conversion by Zbigniew Ross in 2016-2017 and featuring audio by Michał Brzeski. Published by RGCD and Psytronik Software in 2018. Bounce the ball through many different three-dimensional textured tubes, collect as many points as you can and try not to fall off the edge. The game features 23 fast paced rhythmic levels, innovative texture mapping, over a dozen bonus and hazard tile types for that ever increasing challenge, a password system to play previously unlocked levels, an awesome soundtrack by MCH, and finally the game is SD2IEC compatible!